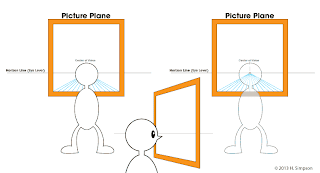 The picture plane is that imaginary window that the Omnipotent Observer is looking through. This invisible picture plane is between the Omnipotent Observer/Station Point and the objects being viewed. 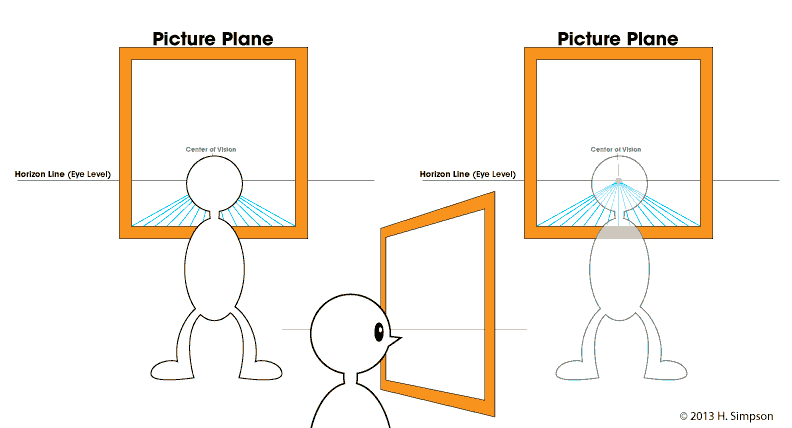 The picture plane is perpendicular to the parallel receding lines of sight. So we've just scratched the surface of perspective here. Please seek out more information to study on your own. Now let's get back to composition, which was so rudely interrupted. Please follow, comment and subscribe. Well... you don't have to do all of them. At least do one of them. okay?